Decorative Car Eyelashes Only $3.99 Plus FREE Shipping! You are here: Home / Great Deals / Decorative Car Eyelashes Only $3.99 Plus FREE Shipping! Have some fun with your car! Want to stand out on the road and make heads turn? Now you can with these Flexible car eye lashes that bend around headlights and fit most vehicles. UV resistant eyelashes attach with 3M double sided tape specially designed for trim products. 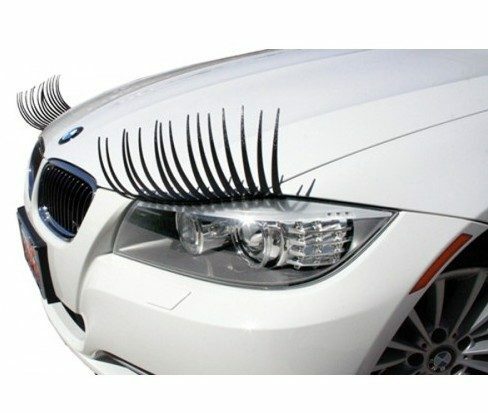 Get the Decorative Car Eyelashes Only $3.99 Plus FREE Shipping!